I didn't attend the Sinulog kick-off, the Sinulog Sa Kabataan, the Fluvial Procession, or the Sto. Niño Solemn Procession. 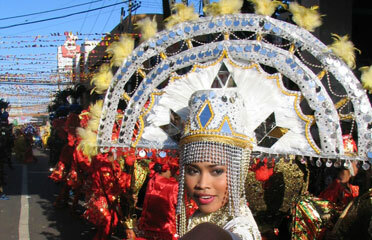 But I did attend the Sinulog Grand Parade on January 21, the week's grand finalé. Here are some of my photos.